Engility has received four contracts worth approximately $102 million combined from the Intelligence Community during the first quarter of 2016. Intelligence agencies made the awards in the form of recompete, sole-source and new contracts, Engility said Wednesday. The contracts are in addition to a potential five-year, $82 million contract awarded by the Defense Department to Engility in January. The contract with DoD covers intelligence analysis, classified systems engineering, program management, technical analysis, and data management support services. 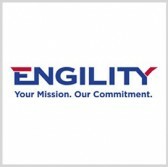 Engility CEO Lynn Dugle said the company has been providing support to intelligence agencies for more than four decades.